If you’ve ever really looked at your sent mail folder, you’ve probably noticed a trend: You email the same people over and over and over! 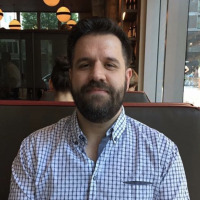 Since we’re big fans of automating repetitive tasks, today we’re going to look at how to create shortcuts to automatically email specific recipients. 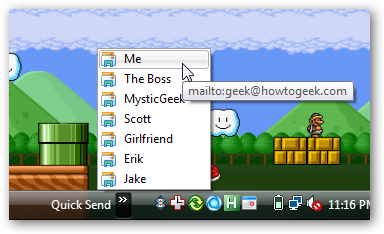 You can even assign a hotkey to email a specific person this way, or email a list of people if you are so inclined. 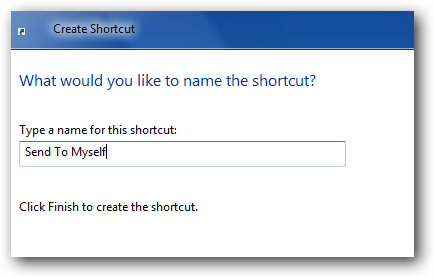 Right-click anywhere on the desktop and choose New \ Shortcut from the menu. 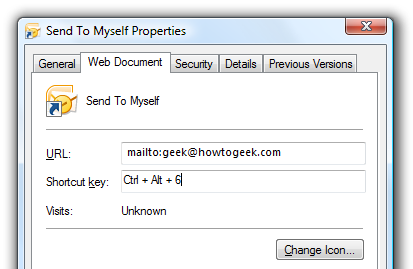 This will create a shortcut to send an email using the default mail client. On the next page, you can give the shortcut a name, and I’d suggest using something descriptive like the name of the person. 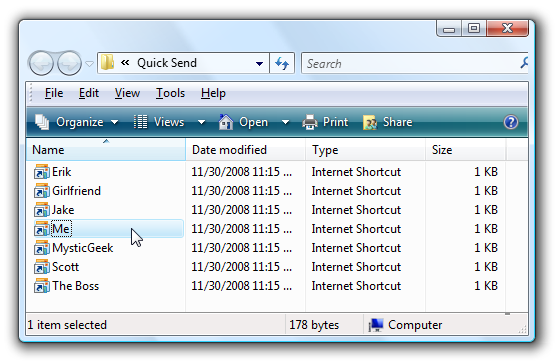 Now I have a shortcut that I can use to quickly open up a new email to myself, using my default mail client which happens to be Outlook 2007. If you right-click on this shortcut and choose Properties, you can add in a shortcut key as well. 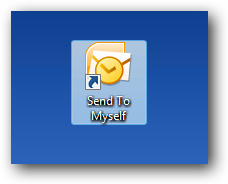 You might ask: Why would I email myself so often that I need a shortcut? The answer is simple: I use my email client to store lots of information like ideas, notes, or even sometimes todo items that I need to remind myself about. Each of these parameters can be added after the initial To field, with the first parameter requiring a ? character in front of it, and the next ones requiring a & character. 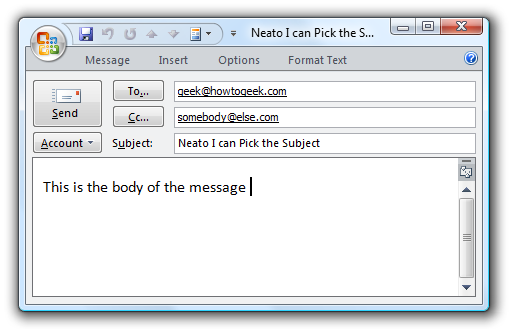 Tip: If you want to use multiple email addresses in the To, CC or BCC fields, you can separate them with a comma. Since I use these shortcuts so often, and I’ve got quite a few of them, I created a folder named “Quick Send” to hold all of the shortcuts. Now I have a quick access toolbar that I can use right from my taskbar to quickly fire up an email to one of the people that I email quite often. 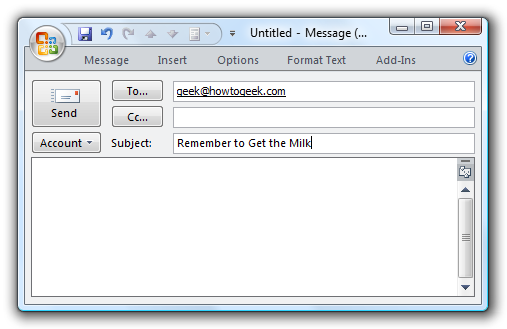 For extra credit: If you are a fan of the Remember the Milk online Todo list, you can look under Settings \ Info and find the Inbox Email Address, which will let you create new Todo item via a special email address.